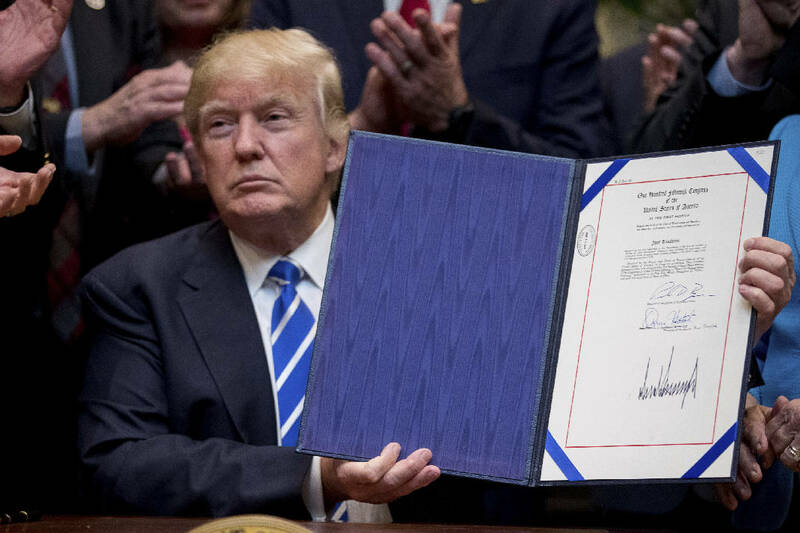 WASHINGTON (AP) - President Donald Trump is signing a handful of measures aimed at rolling back Obama-era regulations. Two roll back rules that deal with how states assess school performance and teacher preparation programs. Trump says that local educators, parents and state leaders know what students need best. One of the measures eliminates the so-called blacklisting rule that requires contractors to report alleged labor law violations that have yet to be fully adjudicated in order to bid on federal contracts. Trump says it's "going to save a lot of jobs." The legislation Trump's signing also nullifies a Bureau of Land Management rule that aimed to regulate land management decisions. The president says he'll continue to eliminate regulations he finds unnecessary or harmful.